Congratulations to Austin Morris showing Brindolena, owned by Elizabeth Richards of Columbia, MD. 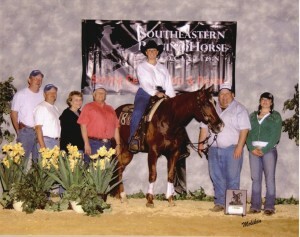 High Point Rookie Professional at the VRHA March Into Spring Show. Chapman Reining Horses specializes in preparing the Non-Pro rider for reining competition. Copyright Chapman Reining Horses. All Rights Reserved.